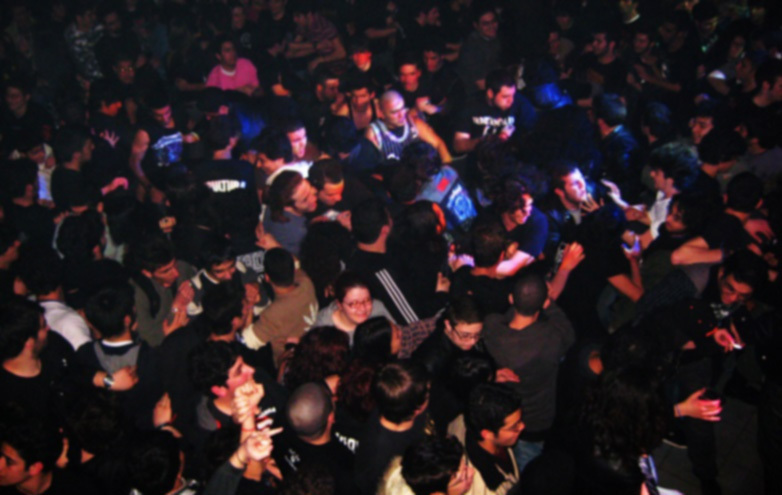 The Kuwait Rock and Metal scene is arguably one of the driest ones (no pun intended) in the Middle East. With live shows being limited and constantly being canceled, Kuwait’s bands have been focusing on recording and releasing their originals. Sajid Masood, better known as Sarj, is an experienced Kuwait-based musician who has been producing Kuwait’s best bands for years. 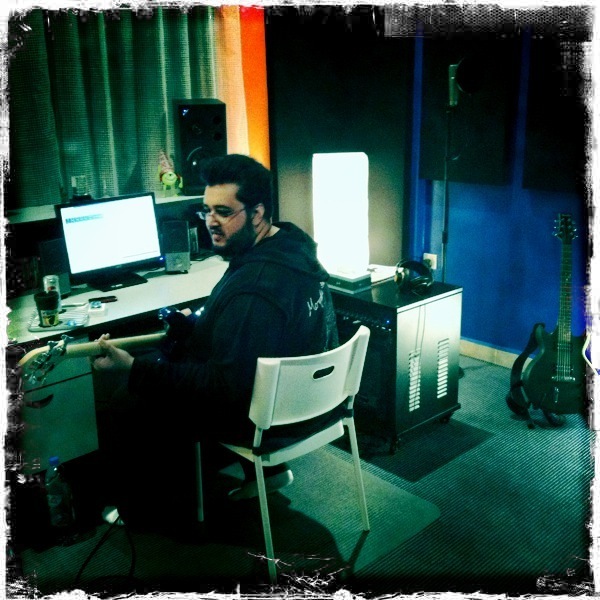 Today, Sarj is considered to be one of the best Metal/Rock producers in the Middle East. Hey Sarj! How are you doing? This is a typical way to start things off, but what got you into audio engineering and production? Did you play any instruments first before getting into it? 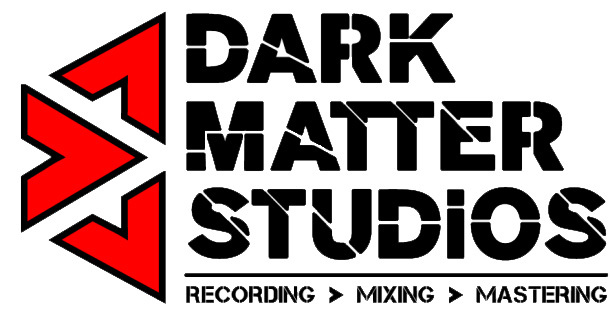 I never really intended to get into production and audio engineering, it just seemed to happen on it’s own. 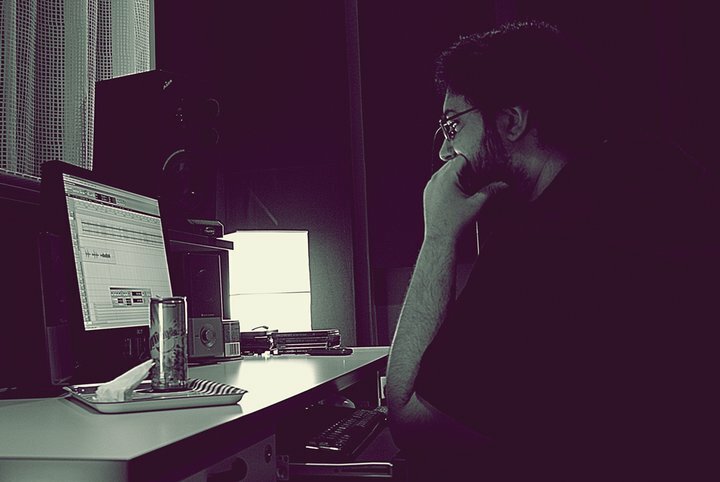 Back in 2006 I bought some equipment to record an album for my band ‘Nocturna’ and I spent a ton of time reading and researching about recording and mixing techniques so I could make a fairly decent sounding first album. In 2007 I put out a demo of one of songs called “Run And Hide” and soon enough I was approached by a friend who requested I help his friend record a song because they were having some difficulties getting it to sound good. I agreed and that friend turned out to be Gaser El Safty and his band Depth! That began my journey as an audio engineer/producer. I sang and played guitar (and still do, of course!) before getting into audio engineering. You’re a veteran of the Kuwait metal/rock scene. Can you tell us a little bit about it and how it has developed since you first got involved? It has changed a lot over the years. The upside, the bands are very friendly and supportive, absolutely no rivalry or bad blood, and maturing musically. The downside, we have absolutely no support from the government or the media, it’s difficult to get our way around the laws and the negative views towards rock/metal music. We’re getting shut out of almost every venue we approach for concerts, the latest victim is the “Summer Rock Out II” concert that that got cancelled two days before the show ( July 22nd)! Being in this situation, the bands focus more time and energy into writing and recording original material to get some much deserved attention through online social networking and bmusic based communities. Tell us a little bit about the bands you’re currently working with and how things have been going with them. So far so good! I wrapped up the recording sessions for Voice Of The Soul and EarSplit not too long ago and currently have on-going sessions with Benevolent and Black13angelZ. 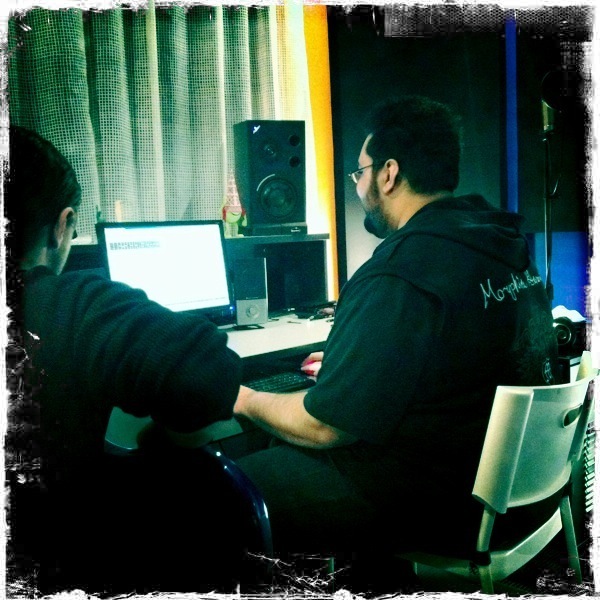 This is the first time I’m working with a traditional heavy metal band (EarSplit), it’s a refreshing change from usual. The mixing sessions for Voice Of The Soul and EarSplit have begun and are going pretty well. If you could hang out with any famous producer (in a studio of course), which would it be and why? Andy Sneap. 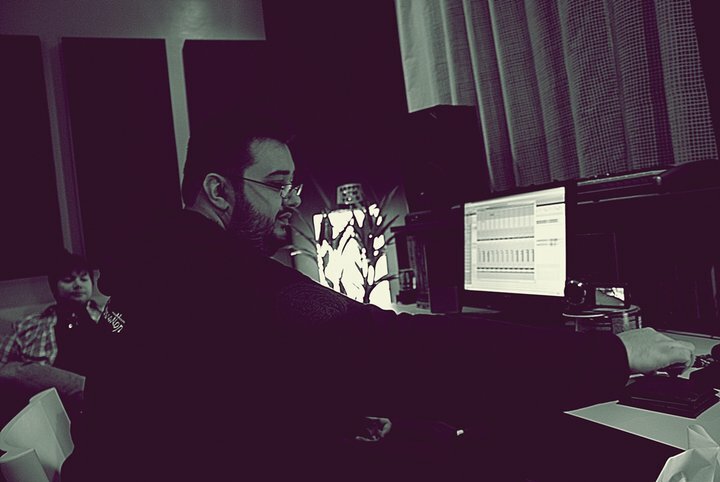 Production, engineering and mixing… the man does it all and and extremely well! It would be a great learning experience. Are you the type of producer who keeps everything strict and prompt, or do you keep a light-hearted atmosphere in the studio? A bit of both really! It truly depends on the situation though… sometimes the bands to be pushed gently and sometimes, kicked hard! Whatever it takes to get the job done. Tell us some of your most memorable moments with some of the bands you’ve worked with. Almost all moments are memorable! You can even experience the insanity that goes into making an album from the behind-the-scenes videos posted by Black13angelZ and Voice Of The Soul. Have you worked with any bands who are not from Kuwait? Are you working with any in the future? As a studio engineer I’ve worked with two Japanese bands, Bleeding Head and United. As a live recording engineer I’ve worked with the country rock superstar Trace Adkins and Scott Stapp (Creed). Currently, I am only working with local Kuwaiti bands but I know I will be working with a lot of bands from this region once I set up my new studio in Dubai. You used to sing for Revelerz and you sing for your own band, Nocturna. You’ve also appeared on two songs by Depth and one by Voice of the Soul. When did you start singing and who are your idols? I started singing for Revelerz back in 2000 but I’ve been singing ever since I was 3 years old! Over the years I’ve idolized a lot of singers, depending on the genre I was into at the time, but the ones that I still idolize are Bruce Dickinson, Ronnie James Dio, Joe Lynn Turner, Phil Anselmo, Russel Allen, Roy Khan etc. Are you currently working on any musical projects? What bands/artists have you been listening to lately? Mostly the classics… Dio, Black Sabbath, Iron Maiden and of course, the new Symphony X album ‘Iconoclast’! Kamelot’s “The Black Halo” gets a lot of play time. If you can share the stage with any band, which would it be and why? With Nocturna… it has to be Within Temptation! I love their music, they’re amazingly friendly & down-to-earth and they put on a great show! Working with so many bands over the years, what advice do you have for any young musician or band who want to become professional? Work hard and don’t be afraid to experiment with different styles of music and genres of rock/metal. It’s great when you learn to shred on a guitar or pound the double-bass on a drumkit but you must make sure your basic foundation is strong. A lot of young musicians jump ahead and miss out on some of the most basic elements and it shows in their musicianship and song-writing. Also, never force yourself to write songs in a particular genre that you’re into… always pay attention to what flows naturally. What’s next for Sarj’s Studios? Where do you see it going in the next few years? I’m in the process of starting a new, professional level studio in Dubai by the end this year. You can call me overly optimistic but I believe it will be the best thing to happen to the Middle Eastern rock/metal scene. Artists/bands from this region deserve a dedicated, professional studio with not only the right equipment but also the right people to produce, mix and take their music to the next level. Now, for the all important question: do you like Lebanese food? Isn’t there a Lebanese restaurant across the street from your studio? I LOVE Lebanese food! And yes, there are TWO good Lebanese restaurants very close to my studio haha! Any last words for LebMetal and the Lebanese rock/metal fans reading this interview? Where can we stay updated with your work? Thank you for interviewing me, and thanks to everyone who took the time to read this. Check out my studio page on Facebook.com/sarjs.studio and keep supporting the underground scene! Many of these bands are very promising! Thanks for taking the time to do this, Sarj! All the best from LebMetal!